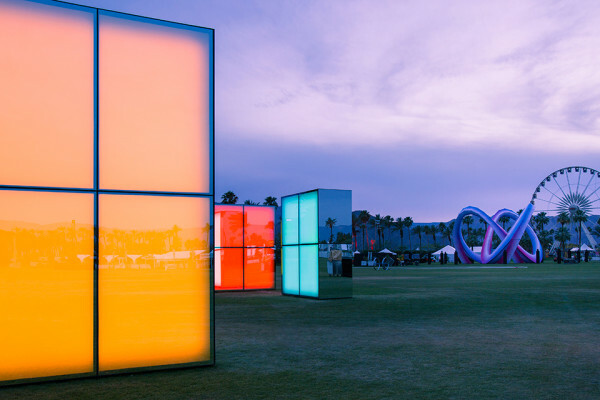 Already showcasing some amazing street styles of the Coachella, I just had to show this festival project by artist Phillip K. Smith, called “Reflection Field“. 5 giant cube structures made of mirrors and LEDs. Creating an impressive prisms of light and color. 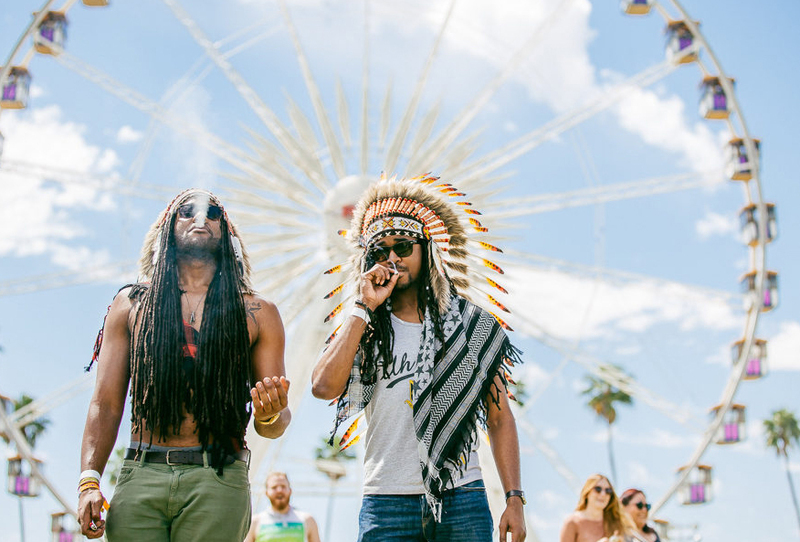 Showing the fun surrounding the blocks and enchanting Coachella. 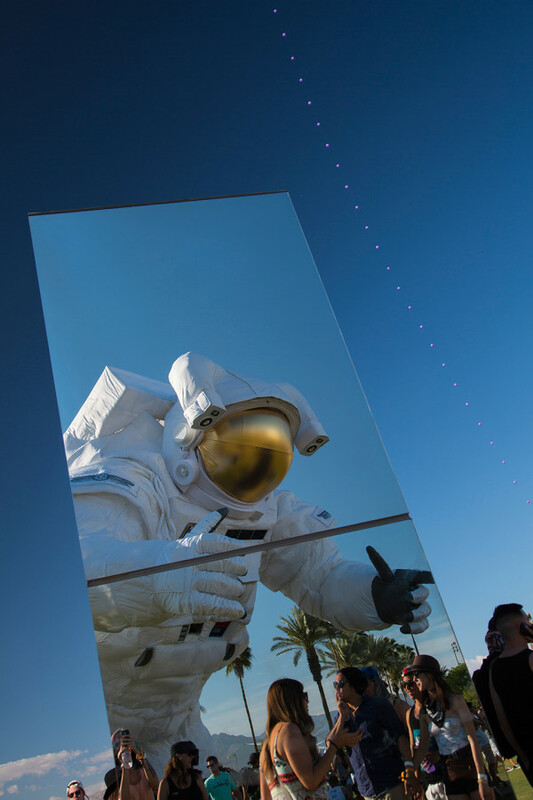 The reflection makes the event bigger and feels magical when the sun goes down. Turning the blocks into massive colorful objects. 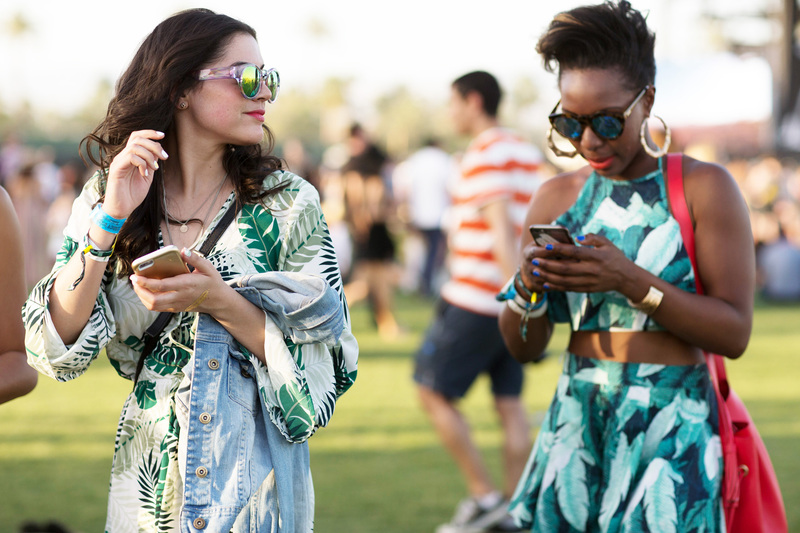 It’s a wrap: COACHELLA 2014! The festival kicked off on friday with some amazing shows; Pharrell Williams, Outkast, Nicolas Jaar and Beyoncé Joins Solange onstage. Seeing all these people dressed up and having a blast makes me really jealous! 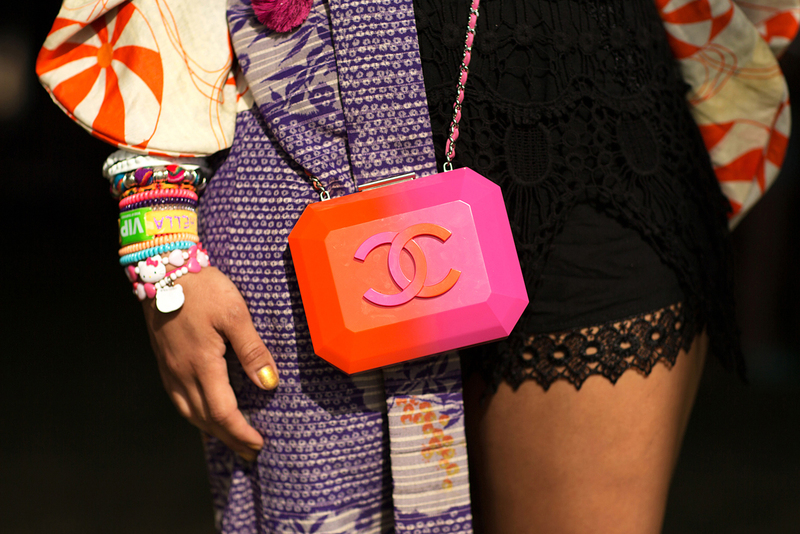 Looking for some inspiration for your upcoming festivals?! 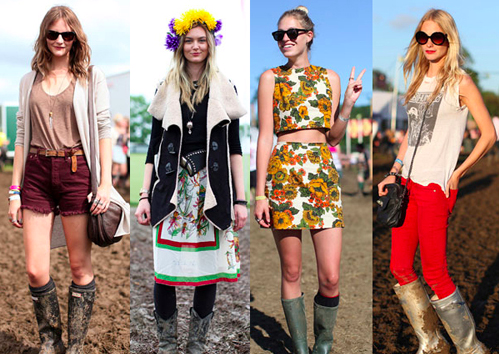 Some other cool outfits, check here..
Festivals 2012 have arrived and you want to look your best! 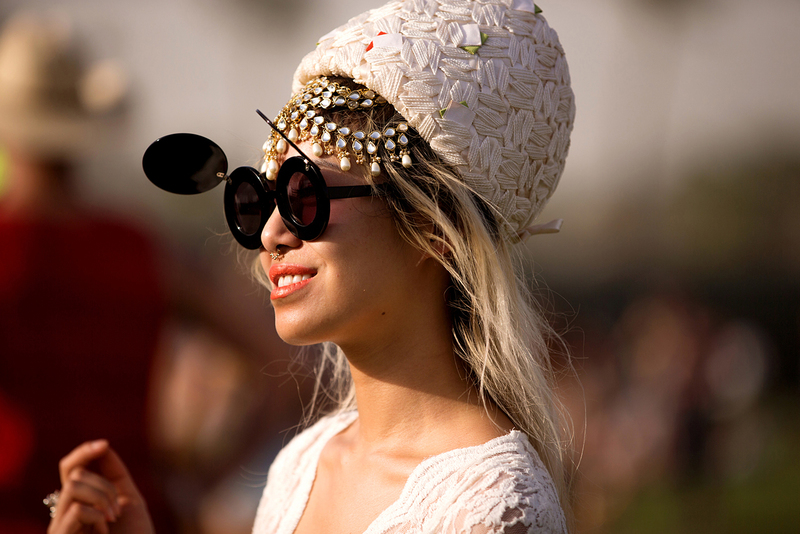 Here is some inspiration for your festival outfit. 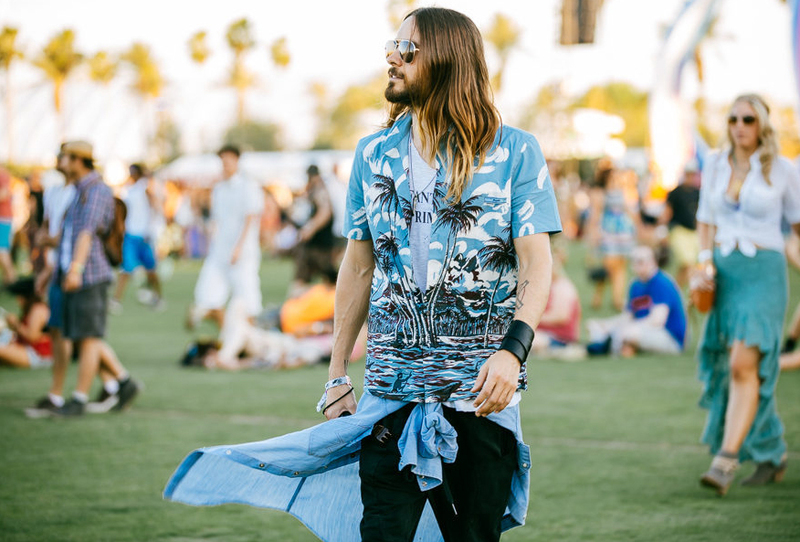 If you don´t have a lot of money for a new outift just turn a old dress into a new one by tie dyeing it or have new shorts by cutting old jeans. BE CREATIVE WITH WHAT YOU HAVE! The Tiger of Sweden Jeans campaign of spring/summer 2012 is inspired by summer music festivals. The kind of festivals where everyone from teenagers to celebrities is seen covered in mud. For the campaign Tiger let six personalities from the Swedish music and fashion scenes take a mud bath in the studio. Photographer Marcus Palmqvist was there to capture the images, styling by Christopher Insulander. Because tomorrow I will be off to Lowlands, a 3day festival (well practically 4 1/2 days) and I looking for cool festival outfit. I wanted to share some. Today the say it not going to rain but in Holland you can never be shoor, so they will be packed. Lowlands is the biggest festival in Holland and it will be my second time to participate. I realy can wait to stand there and have fun and party with my friends.